Did you know that fall and winter are the most popular time of year to purchase a luxury vehicle? Neither did I. But it’s true, 28% of luxury vehicle sales occur in the fourth quarter of the year. What types of things should parents look for when purchasing a vehicle? Parents should picture their future with their vehicle. You should select a vehicle you will be proud of for the next few years. Now is the time to ask yourself the tough questions because its the little things that make a difference. What type of engine option do you want – what about standard or Hybrid? Which features are important to you? Which safety features are a must? 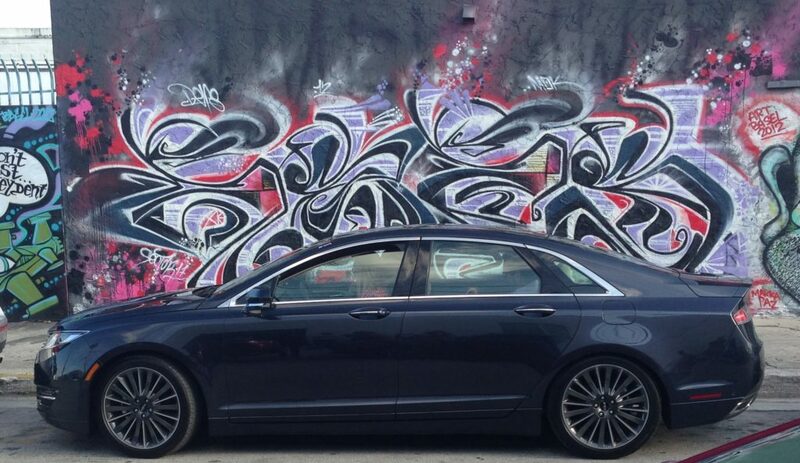 Safety is the #1 concern for moms but we also want our vehicles to be stylish, how does Lincoln address these two requests? As a mother safety should absolutely be your number one priority, however, you shouldn’t have to sacrifice a luxury driving experience to reach these high levels of safety. The Lincoln MKZ offers features that moms can truly appreciate without compromising on design, quality and personal service. The Lincoln MKZ is the only Luxury Midsize Sedan offering inflatable rear safety belts which help reduce the risk of injury while supporting the head and neck. The MKZ also includes adaptive cruise control, lane-keeping system and blind spot information system. What tips would you provide women shopping for a vehicle for the first time? 1. Cyber stalk. Before heading to the dealership, do online research from the comfort of your couch – pajamas optional. Many automakers can save you time through digital tools like virtual tours, video chatting and vehicle comparisons. Check to see if the automaker offers services that will make the shopping experience more efficient. Lincoln offers Lincoln Concierge a real-time email or phone conversation that provides valuable recommendations before visiting the dealer. 2. Make the first move. Call ahead to confirm the dealer has the specific vehicle you want in stock. If so, schedule a time to visit to ensure you will be taken care of upon arrival. 3. Spend time together. Purchasing a car is a long-term commitment. Don’t rush into a relationship with the wrong vehicle. Ask your dealer for an extended test drive so you can spend time getting to know your vehicle without a salesman watching over your every move. Some luxury dealerships may offer special perks…(see below for more information). 4. Picture your future. Ask the tough questions and be sure this is the right car for you. 5. Don’t settle. Make sure you find the right fit for you. What is Lincoln doing differently to allow shoppers to spend more time with their potential new vehicle? The Lincoln Date Night (LDN) premium luxury experience is the perfect way to become acquainted with the all-new 2013 Lincoln MKZ. Enjoy a 24-48 hour drive experience with the 2013 Lincoln MKZ, including dinner for two at a Zagat-rated restaurant ($100 value). Interested individuals should contact their dealership. This entry was posted in For Mothers & Tias, Product Reviews and tagged automobile, car, Lincoln, Parenting, parenting advice, Review, tips. Bookmark the permalink.